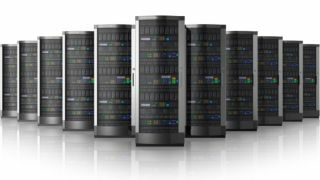 Often overlooked, the power consumption of servers can have a critical impact on their costs. As businesses strive for more sustainability, it is crucial to ensure that any new server deployments are power efficient. Also, with the increasing use of private and public cloud based servers, IT managers need to ensure they are optimising the power their business is paying for. An IDC whitepaper on the subject states: "New server technology should include additional intelligence that also proactively manages and reduces power consumption, understands and identifies power topology issues and status, knows detailed system and rack-level temperature and power levels, and can locate systems precisely rack by rack." As the demands for server performance grows, developers continue to offer multi-core platforms with increasingly levels of onboard memory. From a power consumption perspective, this has meant that IT managers looking to rationalise the power usage of their installed servers have had to look closely at how power is now a major component of their cost centres. What's more, the cloud is not immune to power costs. A report from Greenpeace states: "Data centres to house the explosion of virtual information currently consume 1.5-2% of all global electricity; this is growing at a rate of 12% a year." The good news is that IT managers are far from powerless and can take practical steps to reduce or at least minimise the power consumption of their servers whether these are in-house or accessed via the cloud. With more private clouds that use onsite and remote server platforms, it is possible to improve overall power efficiency for a business by effective management of onsite installations. One method is to use 'throttling', which allows the power consumption of a server to be dynamically controlled. Available on the Dell PowerEdge range of servers, the technique gives complete control over fan speeds and performance to deliver not only the best performance to power consumption, but also longer server life. This is important, as the current trend is to push servers several years past their usual refresh cycle to save on capital costs. The level of control now possible allows for maximum power consumption to be set. For example, the integrated Dell Remote Access Controller (iDRAC) can be used to set a power budget policy that defines a maximum power limit. The cap can be set either through a web page interface or a command line interface. It is also possible to assign server priority so that servers in a rack that have low priority will have their performance and therefore their power consumption reduced. Such features enable servers to better leverage the available power to a level closer to working limits of a rack. This means that more servers can be put in each rack, improving the capacity and utilsation of each data centre without facility expansion.